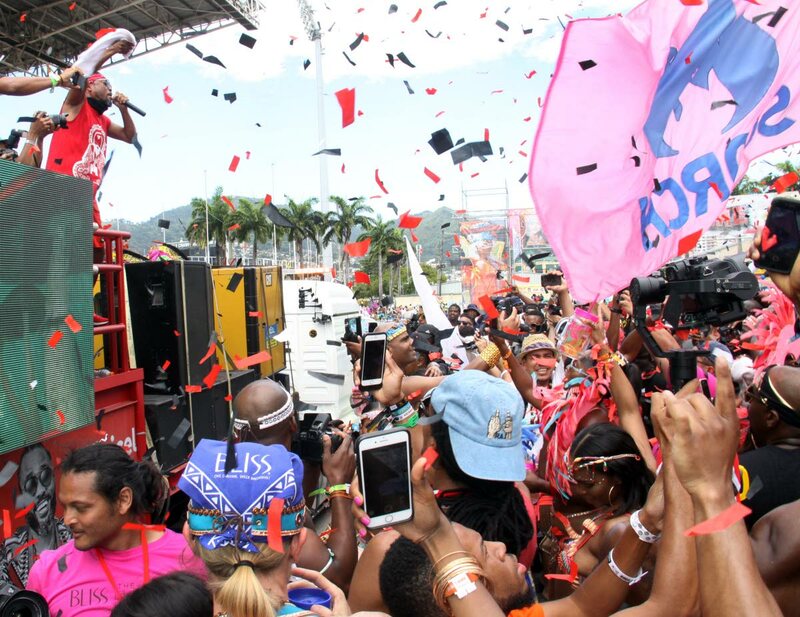 The Soca Drome may be a central part of Carnival 2019 as the National Carnival Commission (NCC) moves to incorporate the Jean Pierre Complex parade with the mainstream mas. NCC chairman Winston "Gypsy" Peters shared this detail with Sunday Newsday as he addressed the perennial concern about routes for Carnival bands. Peters said the issue has been a talking point for the NCC for some time but details are yet to be finalised. Soca Drome is managed by several large Carnival bands. Peters said if the parade route is extended, it would accommodate more bands so the congestion could be cleared up. Carnival takes place on March 4 and 5. “If the route is one mile and you have a lot of congestion, if you extend it by another mile, it means you can accommodate more bands on the route with a different kind of freedom. “We have to understand the same routes we are playing on now are the same routes that our great-grandfathers played on in the 1930s. Peters reasoned that despite best efforts, there would be some congestion. “What we have to do is find ways to ease it so that visitors and locals can have an experience they will enjoy. “There will always be things to complain about but you will have less things to complain about." Tribe bandleader Dean Ackin welcomed the move to incorporate the Soca Drome into the parade route for mas bands, but said the idea was still in its teething stage. "We have had preliminary discussions with them (NCC) and we promised to work together," he told Sunday Newsday. "We still need to finalise the details and logistics to make sure it can work but that is all I can say right now because we have not had any further discussions. "It is really to be fine-tuned and it is all about creating one Carnival." Ackin said the Soca Drome was always meant to complement the Savannah and other stages when it was conceptualised. "I am happy to finally see that this NCC administration is seeing the bigger picture." On Dimanche Gras, Peters said the board and executive have talented members, including himself, with the experience to produce the show and the commission would not be hiring anyone to stage it. “We have Colin Lucas (interim NCC CEO), Davlin Thomas (deputy chairman) Winston Peters (chairman). You have a whole lot of people who are producers. We have been doing Carnival all our lives,” he said. Lucas was a soca artiste and former frontline singer with Sound Revolution, Thomas is a theatre producer (as well as North Central Regional Health Authority CEO) and Peters is a former calypso and extempo monarch. This year, the event was produced by Dr Rudolph Ottley, a Carnival researcher and manager of the Divas Calypso Cabaret International tent, at an estimated cost of $1.3 million. It was titled The Power and the Glory: From Mucurapo Stadium to the Grand Savannah. Last year, the event was produced by musician Carl “Beaver” Henderson. In 2016, the show was plagued with production blunders which prompted then NCC chairman Kenny De Silva to issue a public apology. Peters said with the establishment of the North Park, the Dimanche Gras would be a show, as the Calypso Monarch and King and Queen of Carnival finals would no longer be the highlight of the event on Carnival Sunday (March 3). Peters said the people interested in attending the Dimanche Gras can expect a wonderful experience. Reply to "Soca Drome Carnival"